Microsoft is looking to make it easier for companies to adopt Windows Phone as a viable smartphone OS in the low-end sector of the industry. Sources have revealed that Microsoft will cut the licensing fees for Windows Phone by as much as 70% which would make it measurably cheaper for companies that are trying to keep costs down. TechCrunch is reporting that the sources say Microsoft will drop the prices in order to to attract new OEMs that will be able to build Windows Phone devices that target low-cost Android phones. 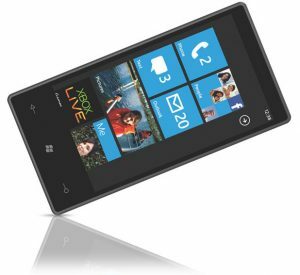 As of right now, the handful of partners that Microsoft does have in the phone business have not been coming out with remarkably cheap devices which has limited the OS’ growth in emerging markets. Current Windows Phone licensing fees are between $20 and $30 which would mean that with the price cut, OEMs could end up paying as little as $6 to $10. Google has already worked to keep costs down for Android manufacturers, stating that it does not have any fees attached to Google Mobile Services like Gmail. This has resulted in Android being a much cheaper platform for smartphone companies with less money to shell out per unit. Even though Windows Phone will still be more expensive than Android after the rumored price cuts, it will be a much more competitive OS. It had previously been reported that Microsot was going to be getting rid of its licensing fees for Windows Phone altogether. However, the difference in revenue for Microsoft would have likely been too substantial for that option to work. By cutting the licensing fee instead, Microsoft can still earn money from each unit without making it too unfeasible for low-cost OEMs. Microsoft is already looking to enter the low-end with the help of newly acquired Windows Phone partners. Along with its partners, Microsoft is also in the process of taking over Nokia which will provide it with an even greater ability to enter emerging markets. Summary: A new report is suggesting that Microsoft will cut its Windows Phone licensing fees by as much as 70%. This price cut would allow Windows Phone to compete against low-cost Android devices in emerging markets.